Paul Skousen might not be the best known of the Skousens, but he did pen The Skousen Book of Mormon World Records . This is my tribute series to his good work. Previous Mormon World Records here. Q: Who has/had the lowest social security number in the church? A: The lowest social security number in the church was 000-000-0001. It was reissued to Randy Jenkins of the Glendale, Arizona, Sixth Ward, in 1976. The number had previously been used, of course. However, Brother Jenkins just had to have that number! With a lot of tenacity and determination, he climbed over the federal bureaucracy and, with the help of his Arizona congressmen and senators, sparked the passage of a bill authorizing the reissue of the first 10 social security numbers. Congress agreed to reissue the numbers in 1976 "in the spirit of the Bicentennial celebration." However, after a few years of having to prove the number was a real one, Jenkins became fed up with the problems of being "number one" and applied for a regular number. Every time he wrote his number down, computers or people would reject it saying the number was a phony. Even at BYU, he was constantly taking letters and forms back and forth between professors when the BYU computerized class scheduling system wouldn't accept his SSN as proper student identification. Q: What city has the most people hooked on candy bars? A: Salt Lake City was the candy bar and marshmallow consumption capital of the nation in 1985. On a per-capita basis, Salt Lakers swallowed more candy bars than anyone else in the United States, prompting the editorial cartoonist for the Deseret News, Calvin Grondahl, to comment, "We don't spend a lot on light beer, so we go heavy on the chocolate. That's the way it is with people, you crack down on one vice and they go to something else!" 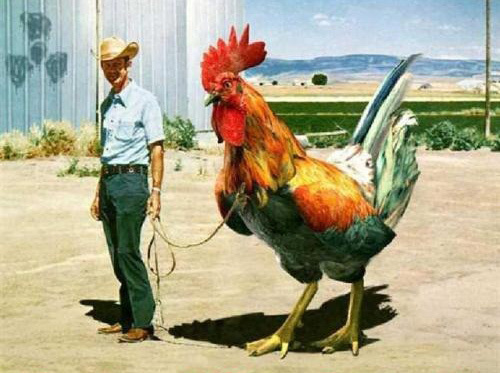 Q: Who owned the largest chicken in the church? A: Former church historian and long-time chicken farmer Leonard Arrington and his wife, Harriet, were the proud owners of the largest chicken in the church in 1987. Okay, so this wasn't a live chicken, but where else do we put a 6-foot tall chicken who looks like it won't take no for an answer? This plastic-and-fiberglass bird showed up on the Arrington's front porch on Christmas Eve, 1987. Stepson Rick Sorenson had the bird flown in overnight as a Christmas present. When the bird was discovered out front on Christmas morning, Brother Arrington said, "We laughed and laughed for two hours straight." Q: Who has been the oldest living man and woman in the church? A: In October 1983, Encarnacion Banares Rampas of Cuzco, Peru, became the oldest woman in the church when she was baptized at the age of 118. She told the missionaries during her first visit to a church meeting, "I just like the feeling there." In 1980, Nicholas Santucho of Canada de Gomez, Argentina, became the oldest man in the church when he was baptized at the age of 116. His wife was baptized a week later at the age of 86. They had 17 children. "There is no secret to long life," Santucho said. "I have lived because God has wished it so."